At substantial taxpayer expense, NKT views its political campaign a charity worth funding by British citizens through their taxes. NKT benefits from public subsidized housing (eg, for NKT's protesting 'clergy') and exemption from income taxes for NKT's many businesses (eg, spas, hotels, apartments, book publisher, festivals recruiting political protesters, etc). Yes, according to British law, an animal rights charity may campaign for animal rights. But, NKT is not campaigning for its rights. The Dalai Lama, the Tibetan Government in Exile and Tibetan monasteries have no rule or influence over NKT. NKT makes this very clear in everything it does. NKT has no allegiance to them nor rights from them. However, while unencumbered by them, NKT has profited immensely from its breakaway from Tibetan Buddhism and its followers. 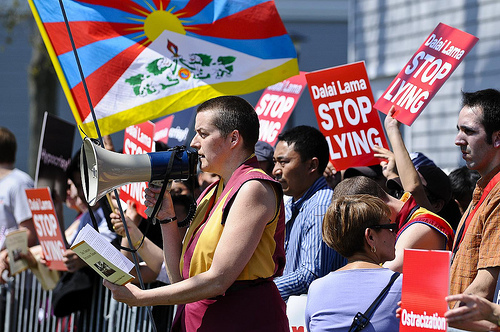 NKT’s campaigning against The Tibetan Government in Exile, the Dalai Lama and what NKT calls corrupt Tibetan Buddhism is nowhere to be found in its charity status. The targets of NKT’s political attacks have no impact on NKT’s rights whatsoever. How? Again, the Dalai Lama has no impact on NKT's rights whatsoever. 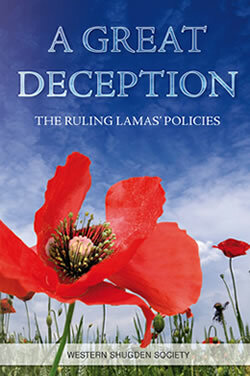 What charitible or public interest does NKT have with the Dalai Lama's policies? The Dalai Lama's official position is head of the Tibetan Government in Exile in India. Clearly, NKT's battle is political. NKT's founder Kelsang Gyatso says so. Furthermore, it is now obvious that NKT created the Western Shugden Society in an attempt to evade British charity law. Follow more about this matter here. 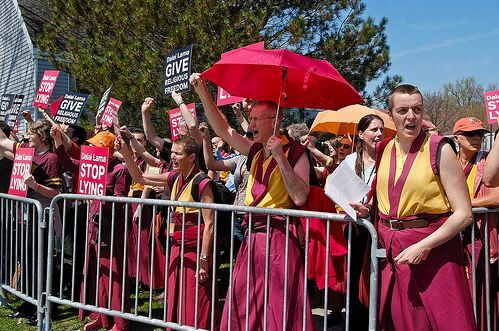 "as the representative of the Western Shugden Society, I personally will organise demonstrations against the Dalai Lama directly. 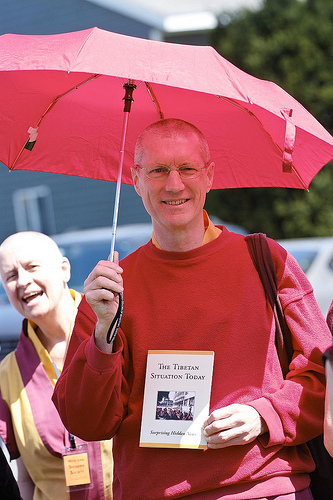 I requested Kelsang Pema and Kelsang Thubchen to do this job for me and they have accepted." NKT's political battle is not a legitimate charity. There is no public benefit to NKT's political drama. If anything, there is harm. Another project for NKT's lawyers to handle? "The NKT, however, displays numerous examples of intolerant paranoia. It does not deny, for example, that individuals have been expelled from NKT centres for "spreading disruptive information about NKT". And least one critic has been threatened with legal action in the event of the criticism being published. The ultimate fate of this kind of movement is usually factional disintegration, but with a lot of unpleasantness first." "After so many years in exile, the Dalai Lama stands in the wake of a series of international and domestic political failures that has produced deep crisis and division within the Tibetan exile community and now threatens the Buddhist community worldwide. In the international sphere, we see a political leader who has been overwhelmed and marginalised, not so much by the course of history but as a result of his own political views, misjudgements and mistakes. The Dalai Lama has not been able to do anything to reverse Beijing's integrationist policy in Tibet, the prospects for the exiled Tibetans' return to Tibet are as remote as ever, negotiations with the Chinese are in deadlock, and there is no inclination amongst the world's governments to recognise Tibet as an independent state. The Dalai Lama has become a world-famous figure, but has failed to gain anything concrete for his people. As a direct result of the Dalai Lama's disastrous domestic policies and inflammatory speech, the Tibetan community is deeply and even violently divided against itself on an increasing number of critical issues. There are many causes of the Dalai Lama's failures to achieve anything substantial for the Tibetan people, including his own political-ideological views and attitudes, his incompetence as 'head of state', the dubious role played by the Nechung oracle and the participation of the Dalai Lama's immediate family in the generation and execution of government policy. 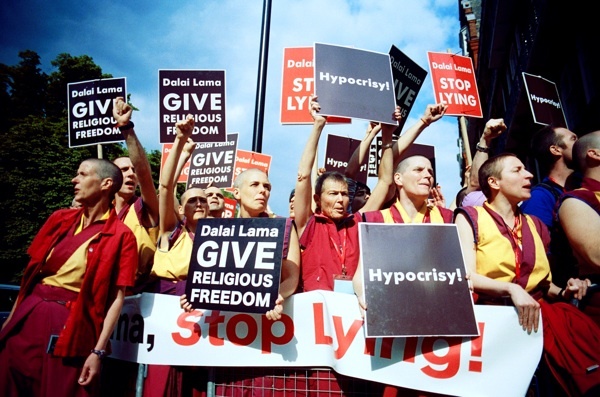 But the fundamental factor underlying the present crisis lies within the very nature and function of the Dalai Lama's Tibetan government as a feudal theocratic system – with its endemic mixing of religion and politics, its translation of religious ideas into government policy, its deep confusion over the roles of religious leader and head of state, and its retrogressive view of the position of the Dalai Lama as the 'God-King' of Tibet. After fifty years, we do not see in this Dalai Lama a 'God-King', a saviour, or even a wise statesman skilfully shaping the destiny of his country and its people through a difficult time. What we see instead is a desperate and cynically self-seeking man who has precipitated the greatest catastrophe in Tibetan history. 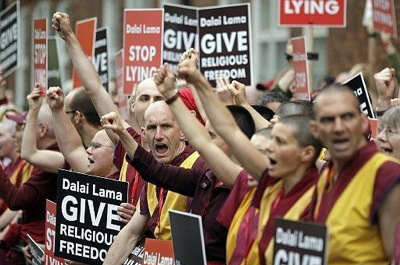 With these points in mind, we should note John Goetz's remark in the conclusion of his article, 'On the Outs with the Dalai Lama': 'The tragedy of Tibet is not only the brutal Chinese occupation but also the desperation that has led so many to believe that return to the Dalai Lama is the only alternative.'" You see, NKT has other plans for Tibet and Tibetan Buddhism, which NKT believes it cannot accomplish with the Dalai Lama in place. NKT wants the Dalai Lama removed from his position vis a vis Tibet. What purpose at taxpayer's expense do these NKT political manifestos serve? Do taxpayers have nothing better to do with their money than support NKT's unquenchable political battle? Does NKT's board of directors really condone NKT's political battle? Do they really mean to enforce a British view onto the Tibetan Government in Exhile in India? Is this some sort of movement for British colonialism in India? Perhaps, this essay should have been entitled 'NKT's Abuse of Public Money'. "One common smear from NKT detractors is that NKT is really a money making empire of book publishing, Dharma Festivals and Celebrations, Retreat Centers, hotels, cafes and spas, and that these activities and businesses make a lot of money." We have no idea how much NKT makes on its annual revenues of several million dollars from the array of businesses that NKT lists. Certainly, NKT's opulence and support for its clergy to protest around the world and generate web sites indicate that NKT makes a lot of money available for its luxuries and politics. A smear, really? We think not. We conclude that NKT is more than a money making empire. It is a political machine with a vendetta funded with "book publishing, Dharma Festivals and Celebrations, Retreat Centers, hotels, cafes and spas." 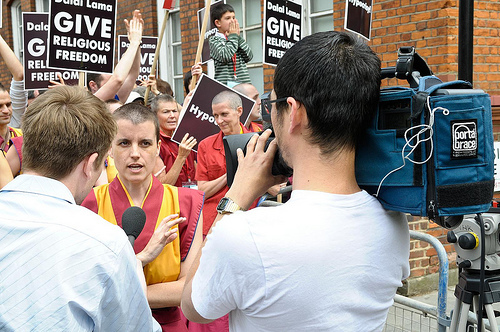 "One of the main aims of the New Kadampa Tradition is to ‘exemplify Buddhist practice through public service’ and a hotel is a perfect medium to accomplish this...NKT Dharma Centers which are either Kadampa Meditation Centers (KMCs) or Kadampa Buddhist Centers (KBCs) often have World Peace Cafes that make profits but the primary purpose of these Cafes is to exemplify Buddhist practice through public service and to act as a means by which the public can connect with Buddhadharma – their main purpose is not financial...No individual or centre can benefit from any profits from NKT activities as these profits are used solely to build temples for world peace. This is legally enshrined in the moral discipline guide of the New Kadampa Tradition – International Kadampa Buddhist Union...The profits from each Festival and Dharma Celebration shall be used only for the NKT-IKBU International Temples Project; except that profits from the annual International Festivals held in the UK may also be used as properly required for the running of the NKT-IKBU...The annual profits made by each local NKT-IKBU Kadampa Buddhist Centre shall be used for the development of that Centre, including improvements to accommodation and so forth, and any remaining profit shall be donated to the NKT-IKBU International Temples Project account of their respective country...Through operating Kadampa Hotels, World Peace Cafes and other businesses, Kadampas practice cherishing others and the profits from these activities are given to others in the form of Kadampa Temples that cause world peace to flourish...We can see that, in the case of Kadampa businesses, everything is created for and donated to the benefit of all living beings." 'Whereas, whatif, exceptions' corporate spin. 'Greed is good.' What do you think the chances are for NKT to give you a dollar or a free book or to repay monies it borrowed from its tenants/students/clergy? What has NKT ever done or what will it ever do to cause world peace to flourish while NKT sponsors protest rallies around the world and numerous web sites ridiculing Tibetan Buddhism, those who found the courage to leave NKT and those banned by NKT from their apartments and study?